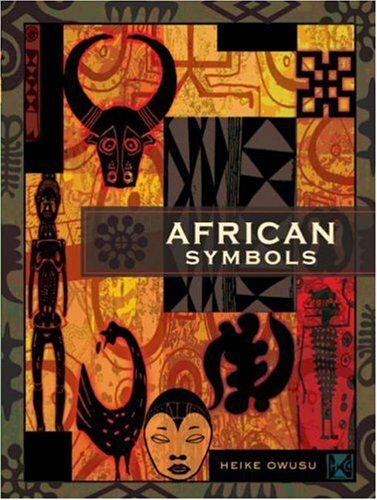 From masks to the symbolic script of the Ashanti, symbols play an important role in all aspects of African life. These sacred items come in a breathtaking array of styles, and here, divided into six areas of cultural similarity, are some of the most beautiful, along with explanations of their meanings. Demons, for most Africans, are responsible for justice and retribution: the superb demon mask shown depicts Kponingo, who belongs to the mythical world of the Senufo in the Ivory Coast. A calabash with the beak of a hornbill, adorned with cowrie shells and made by medicine men, is a typical instrument of witchcraft. Other fascinating symbols include sculptures, cave paintings, status symbols, and art for everyday use.